Mou\ther’s house is a luxury villa on secluded Babalua Beach an island in Turks and Caicos. This destination wedding location is a favorite for Portland wedding photographers and famous for its endless white sandy beaches. 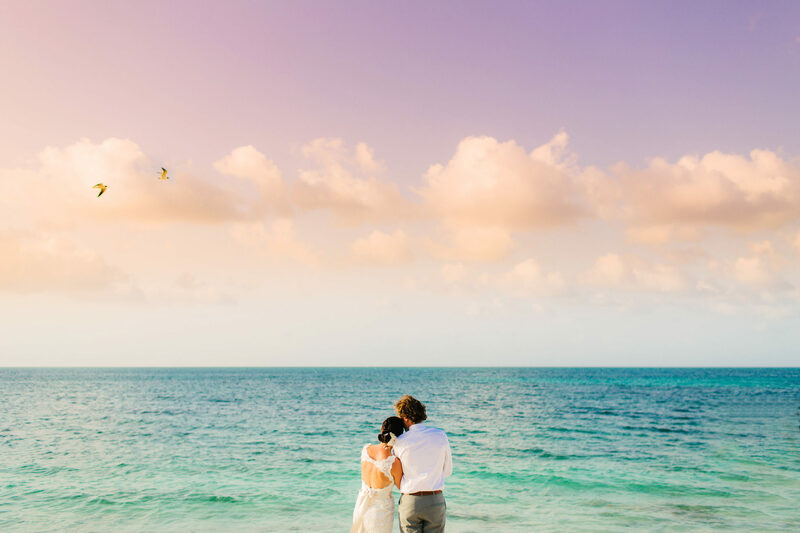 The Providenciales boasts the third largest coral reef in the world and a stunning location for wedding portraits. Mother’s house can accommodate up to 125 guests and invites 22 special wedding guests to enjoy it’s overnight accommodations. The epic ocean view is visible from the large sliding doors, upper deck and infinity pool. Bride and grooms looking for a destination wedding will find Mother’s house to surpass all expectations and truly become an unforgettable wedding experience. Cris and Carrie were married in one of the most serene and magical places we have ever been to…the Turks and Caicos islands. A few months later, we found ourselves descending onto a seemingly make believe island for a week of fun and laughter with some really great people.